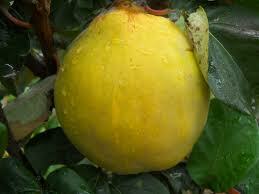 Quince add a delicate perfume to the kitchen larder in late Autumn. 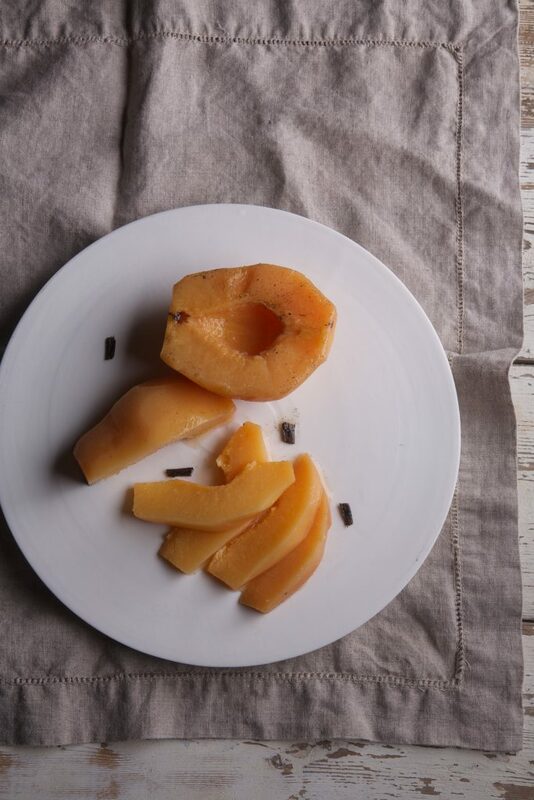 This simple recipe produces a white poached quince flesh with sweet and sour flavours. Serve with rich pork dishes or confit duck as a foil to their fattiness. Attach your Polyscience Sous Vide Chef Series to a container, fill to maximum mark with water. Set the Chef series sous vide to 77.5⁰C and allow to preheat. Wash the quince then peel and cut in half, I leave the seeds in. Place in a vacuum pouch with the vinegar, water, honey and vanilla. Using a square of baking paper wrap the remaining ingredients to form a sachet and place this in the vacuum pouch away from the quince so that it will not damage the flesh when vacuum sealed. Vacuum seal the pouch at full vacuum and cook in the water bath for seven hours.